Matthew West is on a mission to tell a story of a different kind with Live Forever—transforming listeners’ stories into life-changing songs. His new album features songs and stories from people you can relate to—about finding joy in the everyday things, persevering through hardship and embracing the fact that the best days are yet to come. Just a little over a month ago, I attended the best concert experience of my life. Granted, I haven't attended much more than a handful of concerts, but the Matthew West Live Forever Tour concert left me with a mix of emotions and I was on a natural high for days. Matthew West, a Contemporary Christian artist, engaged with the audience and seemed very down-to-earth. During the concert, he explained that his songs are based on real narratives. Thousands of people have written in to Matthew West with their life's accounts, and he's turned them into songs. I've owned the new Live Forever CD for a short time and have listened to it several times already. You can hear the authenticity in Matthew West's vocals and the music is touching in so many ways. My husband's favorite track on the CD is Day One, and he in fact has a concert shirt with that graphic. I'd have to say that Tryin' is my favorite track. Not only does it have an awesome rhythm, it also tells us not to conform to today's standards of beauty. The song was written for a gal who had wrote in to Matthew. She had a low self-esteem and felt like she didn't measure up. During the actual concert, I was able to hear the song for the first time before it was played anywhere else. We learned that the song would be played for the actual girl at another concert a few days after the concert we attended took place. How cool is that! On the Live Forever CD you will find a wide variety of music and tones. Some of it is upbeat, some will make you want to dance, and a couple will leave a somber feeling. There's not one song on the CD that I didn't like. Each once reached out to me in one way or another, and I have a feeling you'd have the same good-hearted reaction that I did with this music compilation. 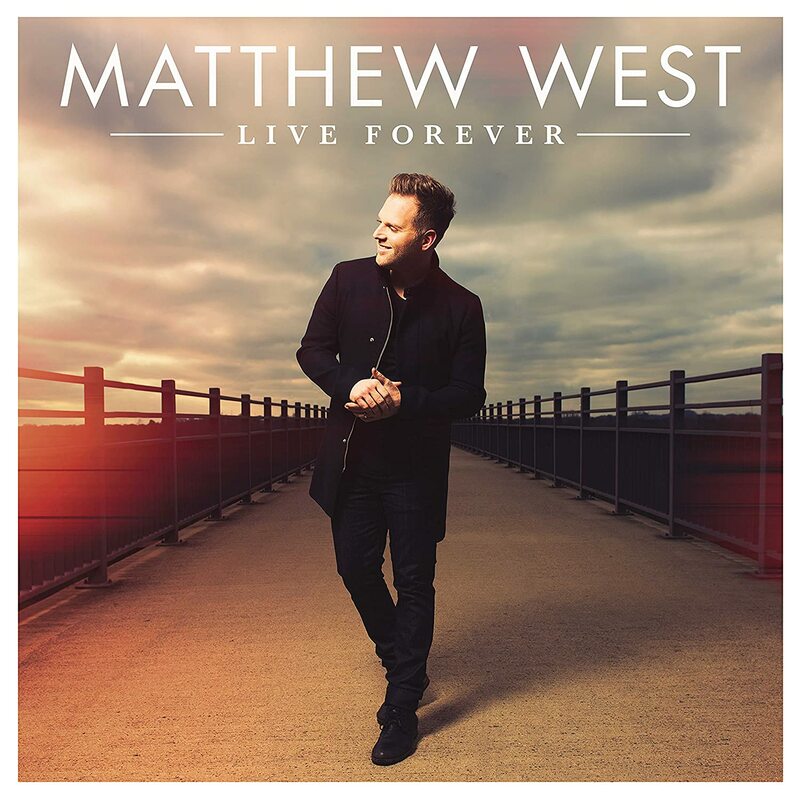 One person will win a Matthew West: Live Forever CD. I've been hearing these on the radio! I'd love to win a copy!! I only know what you've posted about him, but I'd love to hear the cd for myself. I love Matthew West and have one CD of his in my collection. I would love to have this new one. I'm sure it's awesome! We love Matthew West. His songs are passionate and are full of real world stories. We love Matthew West's music!! Thanks for the chance to win! Yes, we enjoy his music. I'm not familiar with Matthew West, but I love to listen to singers with such great stories to tell! I am not familiar with Matthew West.